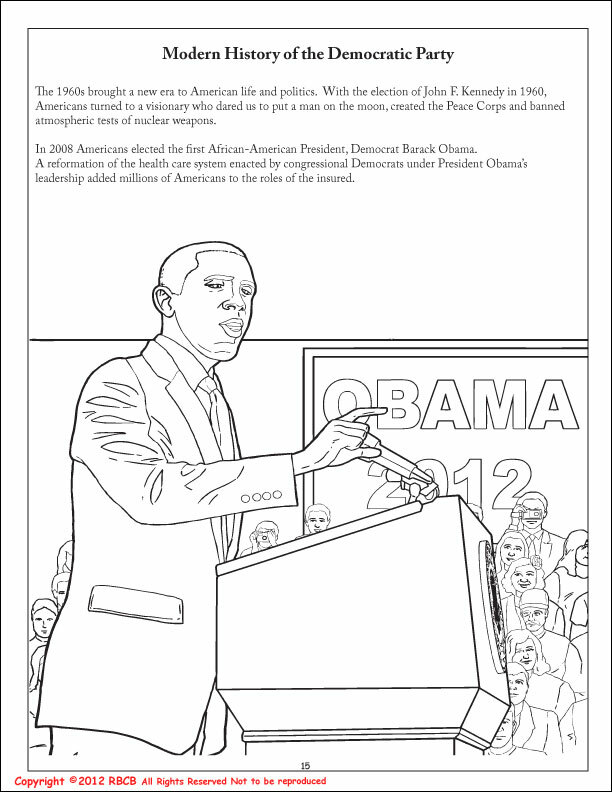 Really Big Coloring Books, Inc. of Saint Louis, MO has designed the USA's next "Presidential Coloring Book 2012". 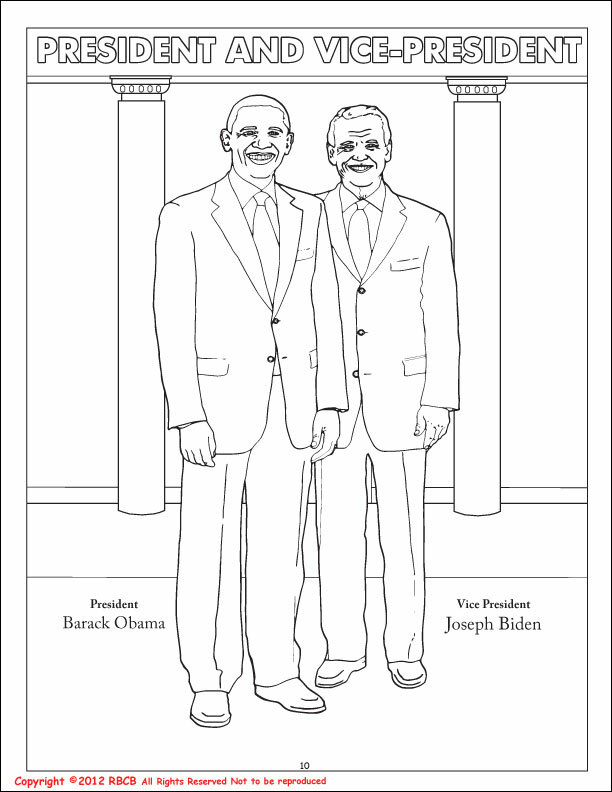 In an age it where seems every person can be excited about politics a unique educational coloring book can bring you back to a day of childhood dreams and total optimism; and that is what this book does. What a fantastic amazing country the children of America get to grow up within and set an example for the all the world to see; not only today but for tomorrow and in the future. 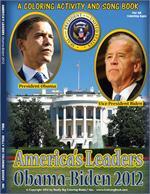 For over two centuries American elected leaders have set the world stage and as usual, it's very exciting. 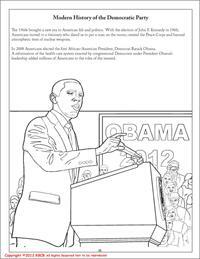 Shortly after the election results are officially certified we will begin to prepare and ship The Presidential Obama Coloring Activity and Song Book - America's Leaders. 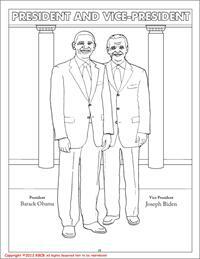 We are very passionate about making coloring books for America and we have the greatest respect and congratulate President Obama and Vice-President Biden on their campaign. 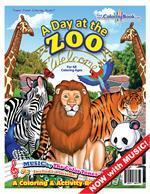 A Historic & Commemorative coloring book that is for classroom use and all activities-celebrations. An inspirational and educational, thirty-six (36) page, 8.5" x 11" book that highlights President Barack Obama and his historic second campaign leading to the White House. 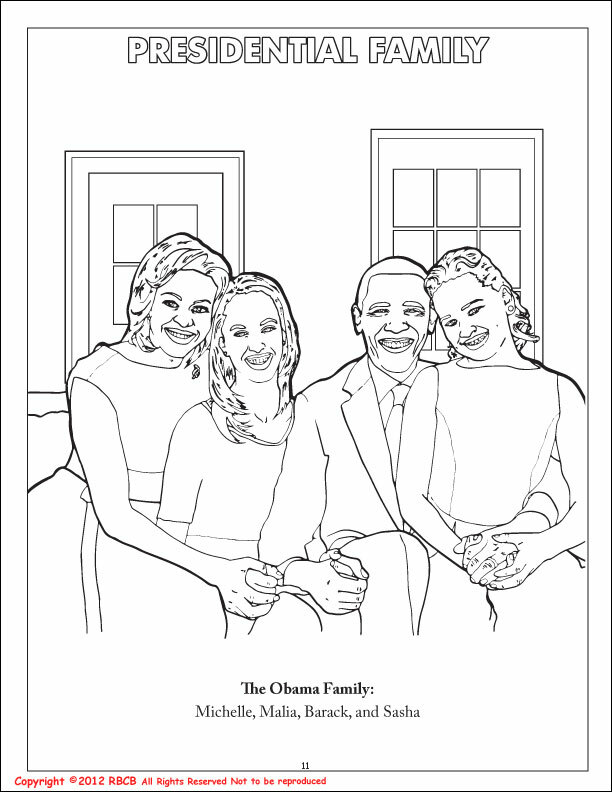 This coloring book is designed for children and parents alike. 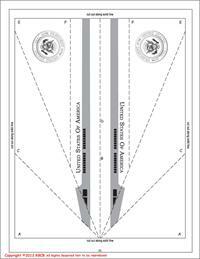 It can be used as a child's school or small text book with the amount of information inside. 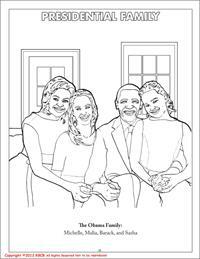 This commemorative coloring and activity book reflects and celebrates change in America! 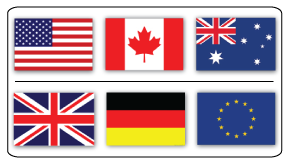 Features include patriotic songs, historical locations & facts, pages describing how children may be involved in their local community, along with fun games, mazes and puzzles. 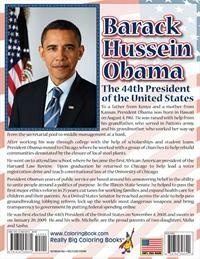 With a father from Kenya and a mother from Kansas, President Obama was born in Hawaii on August 4, 1961. 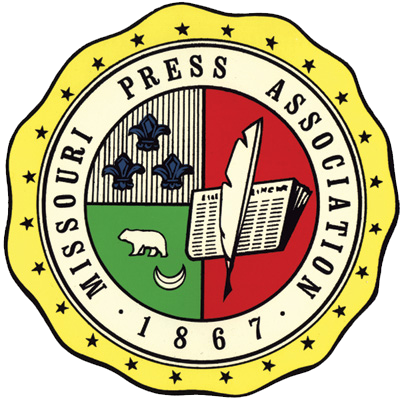 He was raised with help from his grandfather, who served in Patton's army, and his grandmother, who worked her way up from the secretarial pool to middle management at a bank. After working his way through college with the help of scholarships and student loans, President Obama moved to Chicago, where he worked with a group of churches to help rebuild communities devastated by the closure of local steel plants. 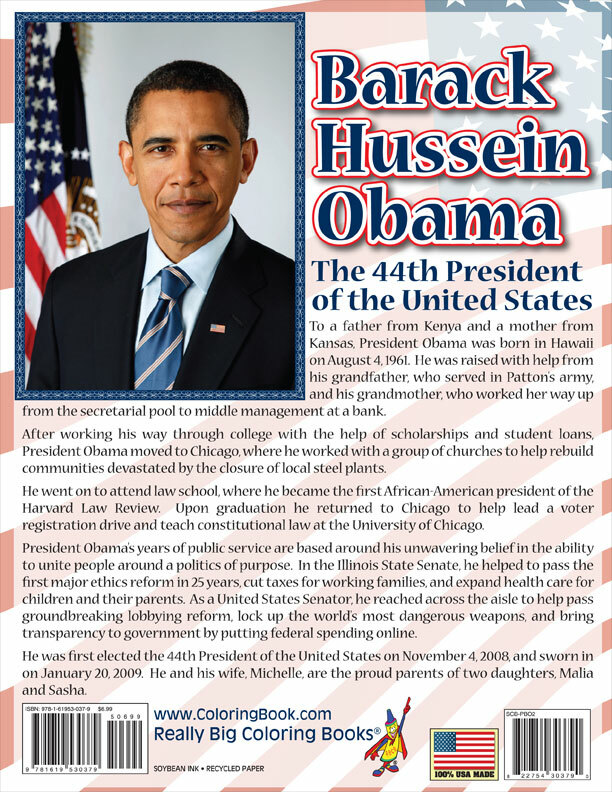 He went on to attend law school, where he became the first African-American president of the Harvard Law Review. 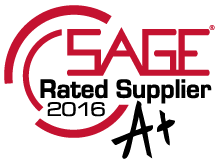 Upon graduation, he returned to Chicago to help lead a voter registration drive and teach constitutional law at the University of Chicago. 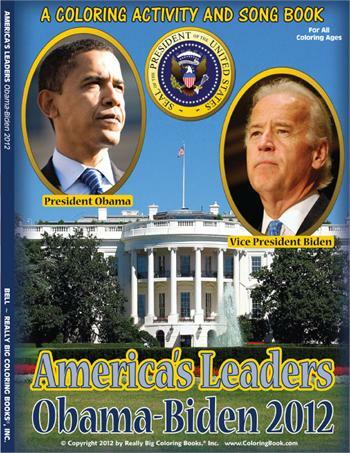 Joseph Robinette Biden, Jr., was born November 20, 1942, in Scranton, Pennsylvania. 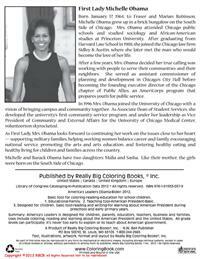 He graduated from the University of Delaware and Syracuse Law School and served on the New Castle County Council. Then, at age 29, he became one of the youngest people ever elected to the United States Senate. Just weeks after the election, tragedy struck the Biden family, when Biden's wife, Neilia, and their 1-year old daughter, Naomi, were killed and their two young sons critically injured in an auto accident. Vice President Biden was sworn in to the U.S. Senate at his sons' hospital bedside and began commuting to Washington every day by train, a practice he maintained throughout his career in the Senate. In 1977, Vice President Biden married Jill Jacobs. Jill Biden, who holds a Ph.D. in Education, has been an educator for over two decades and currently teaches at a DC-area community college. 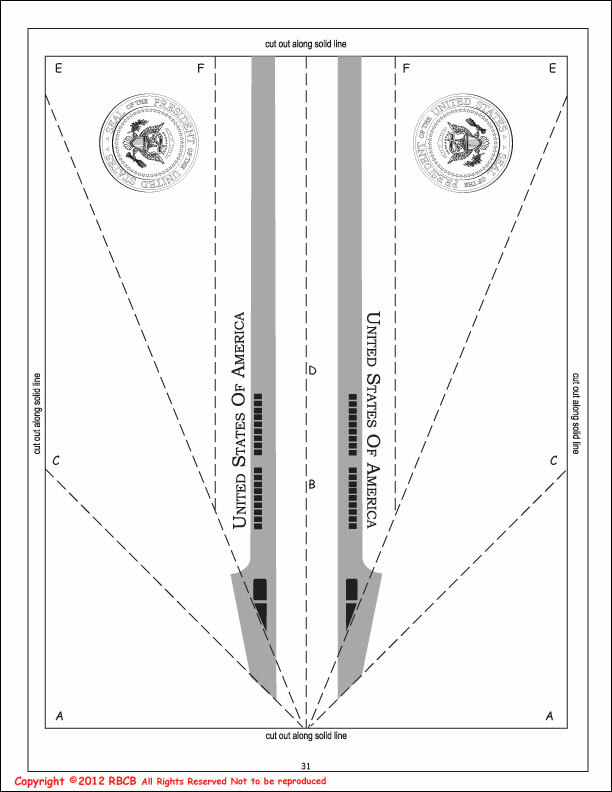 The Vice President has three children: Beau, Hunter, and Ashley. Beau serves as Delaware's Attorney General and recently returned home from Iraq where he served as a Captain in the 261st Signal Brigade of the Delaware National Guard. Ashley is a social worker and Hunter is an attorney. 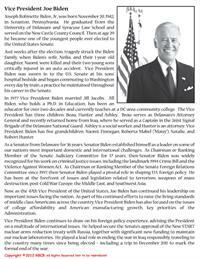 Vice President Biden has five grandchildren: Naomi, Finnegan, Roberta Mabel ("Maisy"), Natalie, and Robert Hunter.